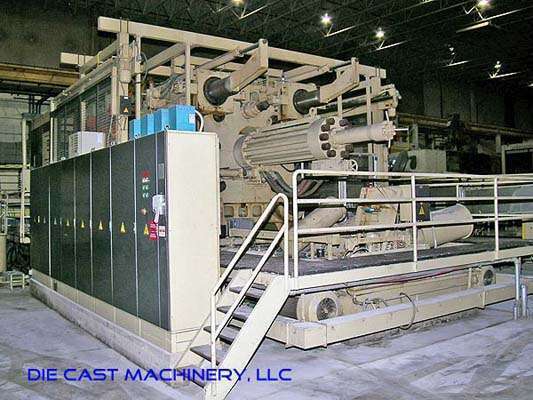 Used Idra 4000 Metric Ton Horizontal Cold Chamber Magnesium High Pressure Die Casting Machine. Inventory item: DCM-1730. Fully Automated Cell with ABB IRB 6400 six axis sprayer, ABB IRB 6400 seven axis parts extractor, Idra (RoboPresse) 72 ton tilt bed hydraulic trim press, melting/holding furnaces, cooling tower & more!